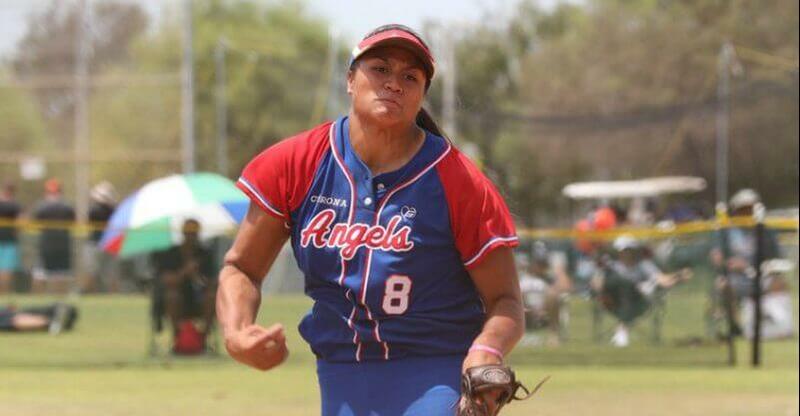 UCLA freshman Megan Faraimo, seen here pitching for Corona Angels-Tyson, is one of many elite pitchers who's made the top spot in the top 100 rankings... later today the #1 player in the Class of 2023 will be announced. Photo: Patrick Takkinen. 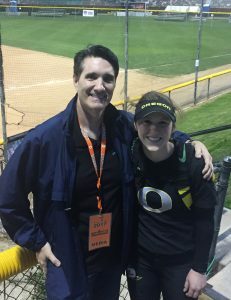 Brentt Eads of Extra Inning Softball has been compiling and ranking the top 100 high school/club players in each grad class since 2013 when he first did the Hot 100 for the Class of 2014. Since he began publishing his lists, he’s done 10 grad years and updated most of them as many as three times for a total of two dozen lists! And whereas the rankings lists were originally just 100 prospects deep, he’s now going as deep as 500 players in each class. As we wrap up the 2023 Extra Elite 100 (and note that it will be updated several more times before these standouts go off to college! ), we see that the top of the class is heavily dominated by pitching talent, not surprising as, at that young age, coaches frequently put their top athletes at pitcher. The author, Brentt Eads, with his first Top 100 No. 1, Jenna Lilley, seen at the 2017 Mary Nutter Collegiate Classic. In fact, of the Top 15 we’ll see that 11 pitch in some capacity. First, let’s look at the list of players who’ve been on the top of their class when they came out as I ranked them at the time (between 2013 and today), first while at Student Sports before posting for Full Count Softball, then FloSoftball and now Extra Inning Softball.